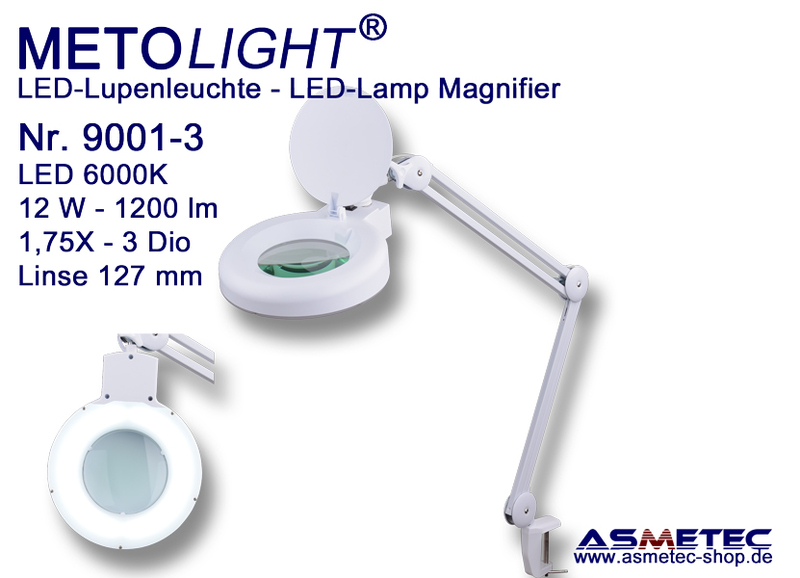 New METOLIGHT 9001 magnifying lamp for multiple use in professional areas and also at home. 60 ultra bright LEDs in light color 6000K illuminate the object under the lens, The LED light is about 12 watts at 1200 lm. 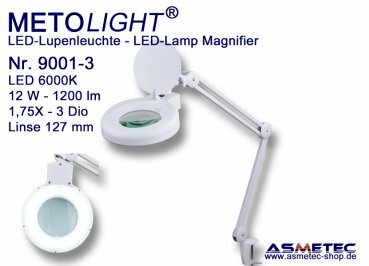 The lamp magnifier is connected to the mains via a mains adapter with an input voltage range of 100 - 240 VAC. The adjustable head joint allows easy alignment of the lamp with just one hand. The long arm with integrated springs also ensures effortless movement and accurate positioning - perfect for all electronic, industrial and inspection environments. The lens can be covered by a hinged lens cover. 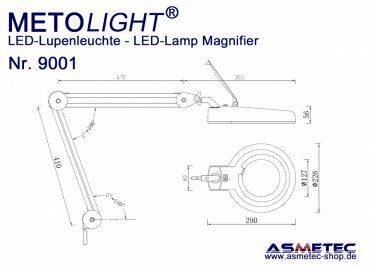 Daylight LEDs provide high-contrast, accurate color matching for easier and less tedious work, and allow for a clear display of the tiniest details. The LEDs never need to be replaced and consume very little energy. 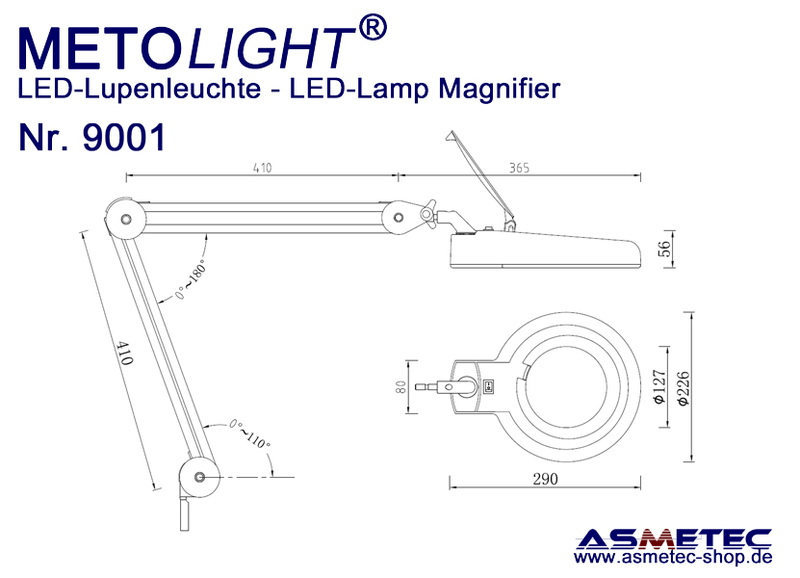 The scope of supply includes a stable table clamp, with which the magnifying lamp is attached to the workplace. Optional floor stands as well as a version with 5 diopters are available. The magnifying lamp is delivered in a box with a stable molded foam inlet.